Take Taxi to Bourbon Street Restaurant. 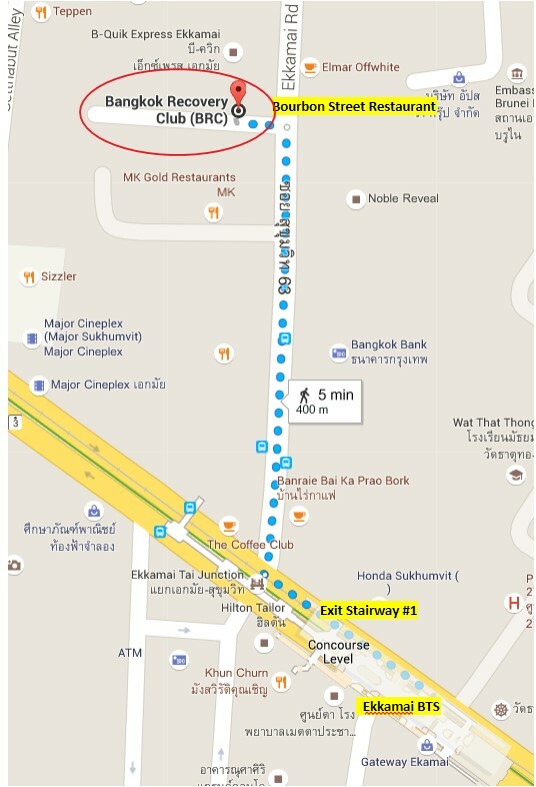 Just before restaurant on Sukhumvit side, turn left and walk past the Bourbon Street Building. Meeting is in Recovery Club behind the frosted glass. Looking at the photo, The building on the right is the Bourbon Street Restaurant. The building to the left of it, under the awning, is an apartment building with the club in it. Club is on the ground floor, behind the frosted glass.